Don't Talk to Me. I'm Lifting. 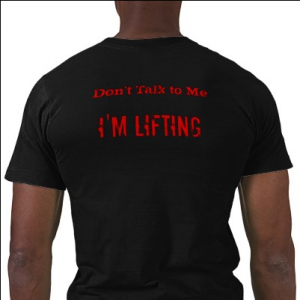 I don’t know about you, but I don’t want anyone talking to me when I’m lifting heavy. 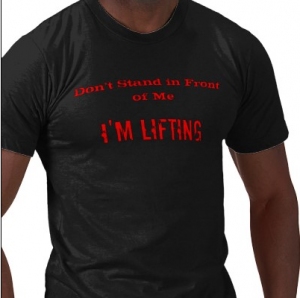 I don’t want anyone standing in front of me when I’m lifting heavy. Yet, there is always that one guy who can’t stop getting in your way. He always feels the need to talk to you right in the middle of a big lift. 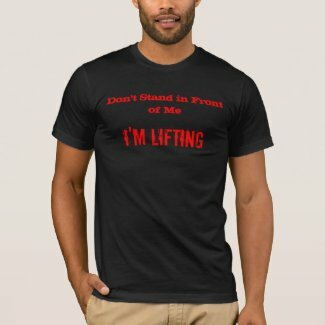 I got so tired of it, that I finally created this t-shirt to wear to the gym. It says it all for me: Don’t stand in front of me. Don’t talk to me. I’m lifting. Want one? You can buy it from my store on Zazzle.